Having lived through her parents’ endless string of “matrimonial bliss gone wrong,” Cassidy Starr knows when the odds are not in her favor. Divorced and humiliated, her faith on rocky ground, Cassidy is through with love. She’s been bucked o_ that horse far too many times. Instead, she returns to Wishing Springs, Texas, and the rundown farm she’s inherited from her great aunt Roxie. She’ll reopen the strawberry farm and a bed & breakfast and follow in her aunt’s footsteps, remaining forever-independent, happy . . . and single. 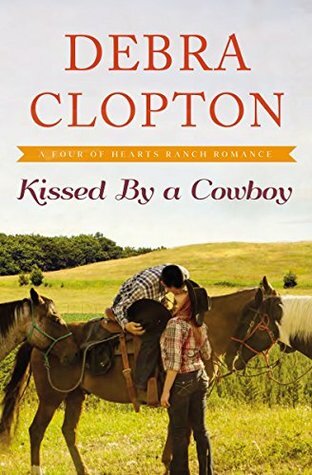 KISSED BY A COWBOY started off so fun with an awkward moment between two friends who haven't seen either other in a long time. 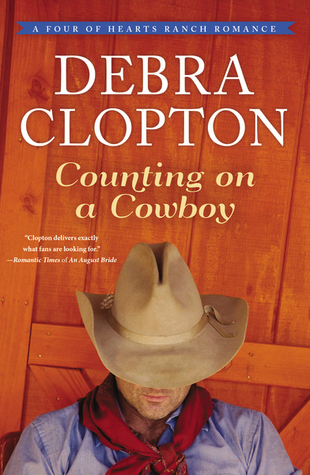 It set the tone for this book full of small-town charm, a cowboy who wants to love a gal, and a gal who is trying to stand on her own. 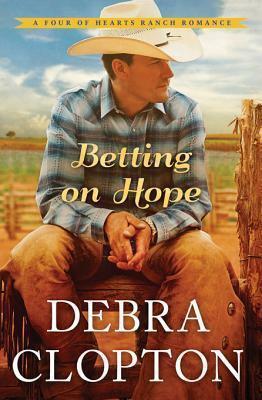 I enjoyed the humor, the swoon-worthy moments, the family relationships with all the heart and teasing, and the small-town feel. The heroine didn't work for me, but I loved the hero and the other characters. I really enjoyed the first two books in this series, but for some reason, this one didn't quite work for me as well. I think I just didn't connect with Cassidy and felt she was a little unreasonably set against Jarrod and was a little out of control. It worked at first, but after a couple of hundred pages of her still in the same place, still dramatic, still not growing or changing how I think she should be, it got old. It made the story rather frustrating. Overall a decent inspirational romance. I liked getting to see Jarrod get a happily-ever-after, but definitely not my favorite in the series. Source: I received a complimentary copy from the publisher through Litfuse Publicity for the purposes of a review for the book's tour, which did not affect my review in any way.